With food labelling rules changing across Europe and strict new regulations already partly in force in Scotland, foodservice providers could be faced with a criminal conviction and/or substantial fine for failing to comply. What are the Food Information (Scotland) Regulations 2014? The regulations are the Scottish form of legislation implementing EU rules on the provision of food information to consumers. They introduce a number of changes to the law regarding the provision of information to consumers by businesses selling both pre-packaged and unpackaged foods. What are the key changes to food labelling? Arguably the most important is the allergen information, which must now be made available to consumers when purchasing unpackaged food – such as in restaurants or cafes – as well as food from some grocers. 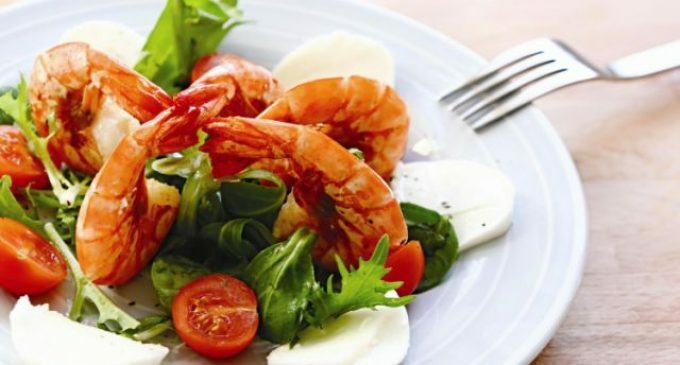 The new regulations set out a list of fourteen allergens, including nuts, eggs, milk and shellfish, which must be clearly identified and highlighted to the consumer. Businesses selling unpackaged food may choose to display the necessary information in a written form, such as on their menus or on notice boards positioned next to the food. Alternatively, businesses may direct consumers to where the information can be acquired: for example, by speaking to members of staff. Furthermore, allergen information should be provided for each individual item made available in a buffet format. Businesses selling pre-packaged food are also affected. They will be required to display nutrition information on food labels, including clear details of the energy, fat, saturated fat, carbohydrate, sugar, protein and salt content. The new rules stipulate the use of clear and legible fonts on all food labelling. For example, there are prescribed minimum font sizes, ranging from 0.9mm to 1.2mm depending on the overall size of the packaging. There are several other changes which will impact businesses concerned in the manufacture, production and sale of food. The staggered process of implementing the regulations started in December last year. With the exception of the nutrition information requirement – which will become compulsory from December 2016 – all of the requirements set out above are now in force. As it will be compulsory to include nutrition declarations on all pre-packaged foods from December 2016, businesses producing pre-packaged foods should now consider how they tackle this new requirement, to ensure compliance by the enforcement date. What should businesses do to ensure they comply? Establishments selling unpackaged food should consider the information and ingredients lists for food provided by their third party suppliers; it must be sufficiently detailed to enable the business to comply with its obligations under the regulations. Those businesses selling pre-packaged foods should ensure that all their suppliers are planning to provide suitable nutritional labelling, or otherwise make provision to ensure it is added before the food is offered for sale. Likewise, businesses labelling their own foods should ensure that their labels meet the requirements set out in the regulations. What are the consequences of failing to comply? Failure to comply with the regulations is a criminal offence. Officers may choose to serve an improvement notice on a business which fails to comply, but there is no obligation on them to do so before proceeding with criminal prosecutions. Convictions can result in fines of up to £5,000 being imposed. Ross Nicol is a partner in the IP & Technology team at Maclay Murray & Spens LLP.